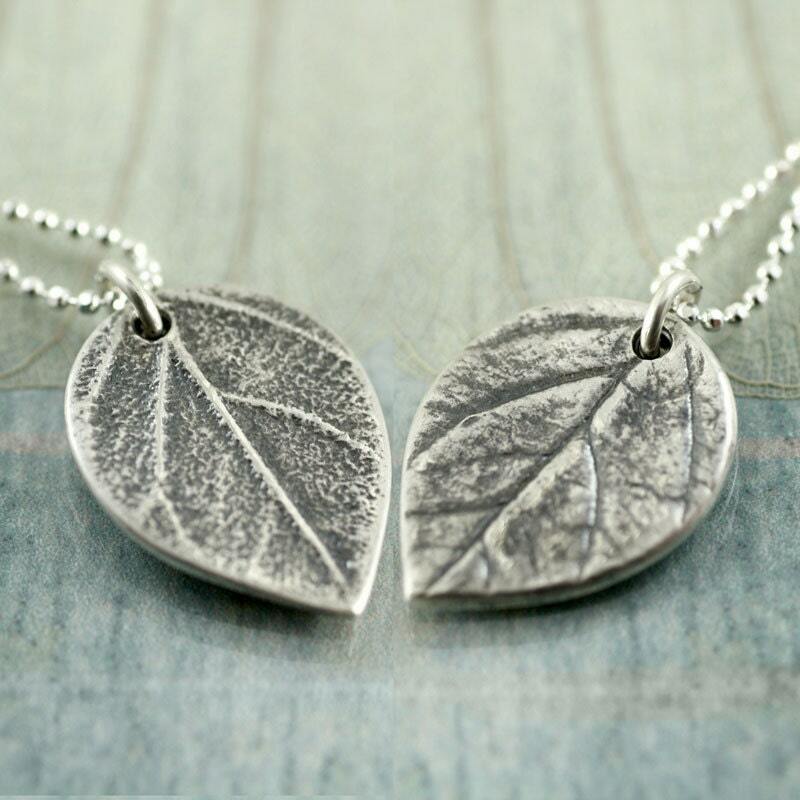 "No one knew that his precious medallion was a locket. 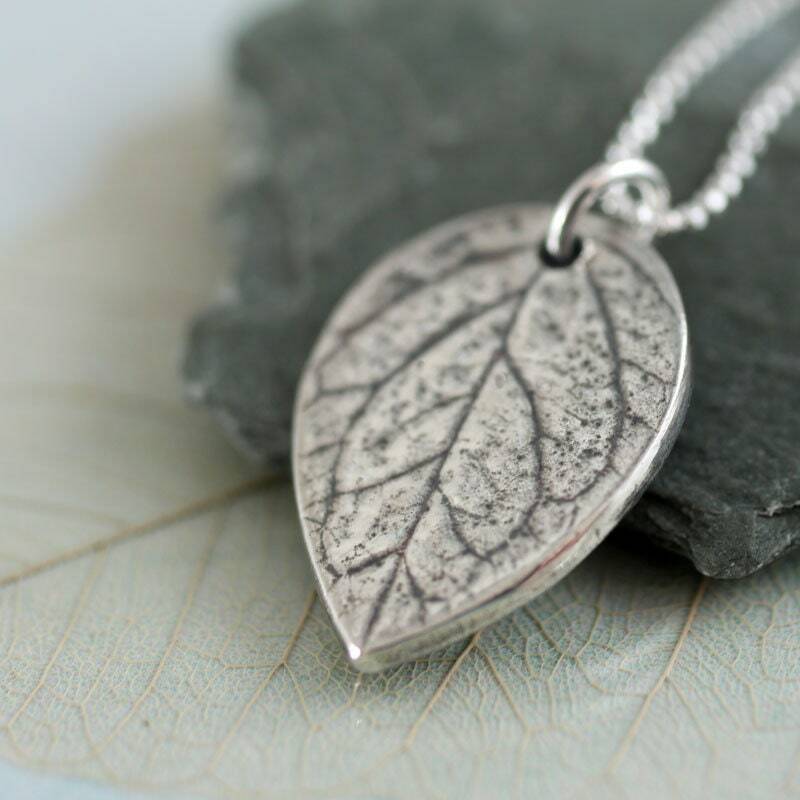 In it in great secrecy he kept a single leaf from the tree in the glen where he last kissed her. He had never given up hope." 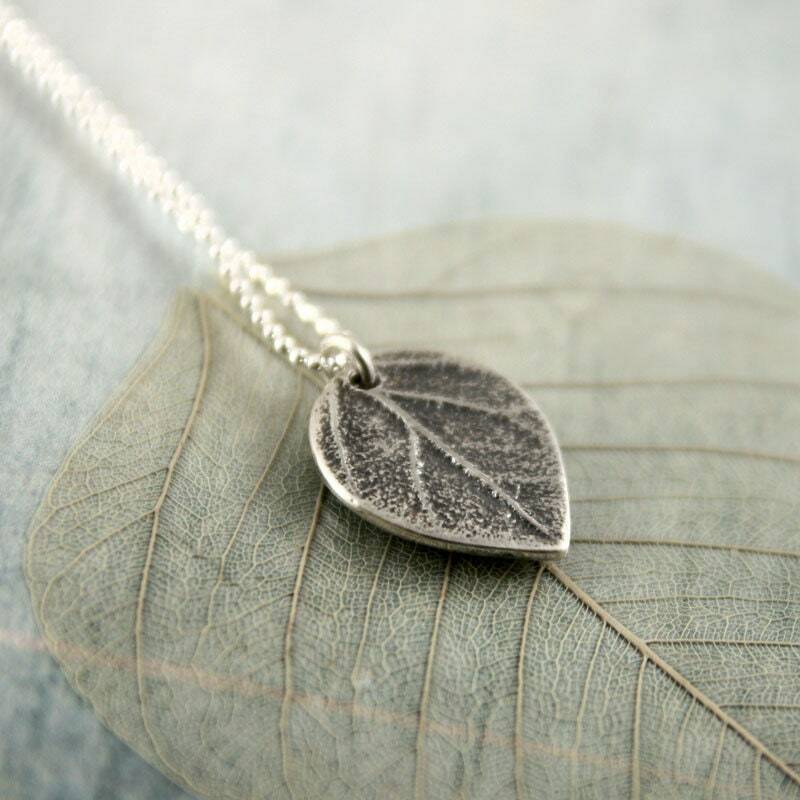 A dainty leaf pendant in recycled fine silver. 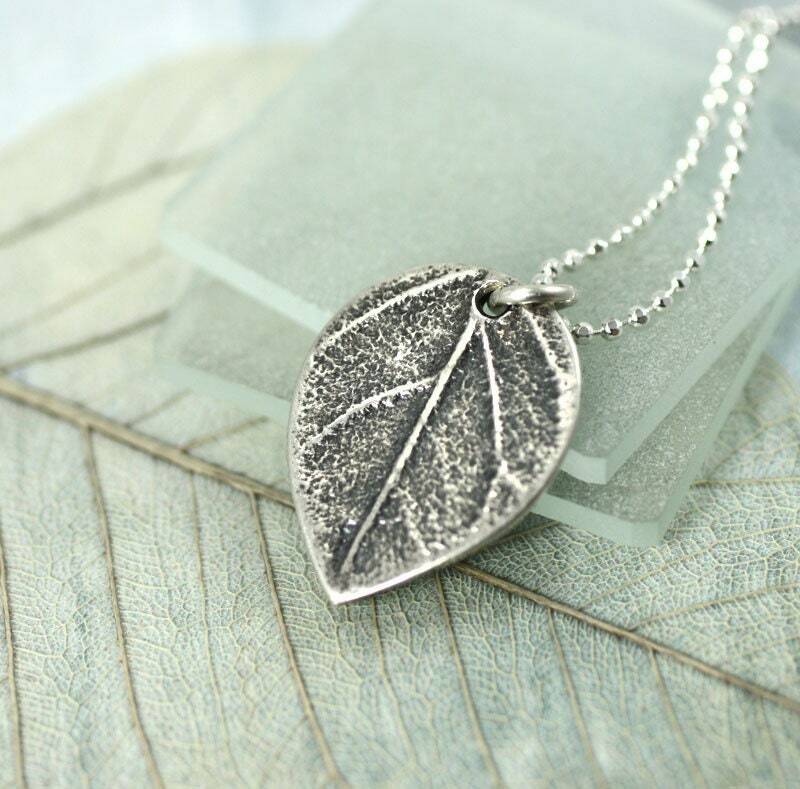 Moulded from a real leaf from my garden. 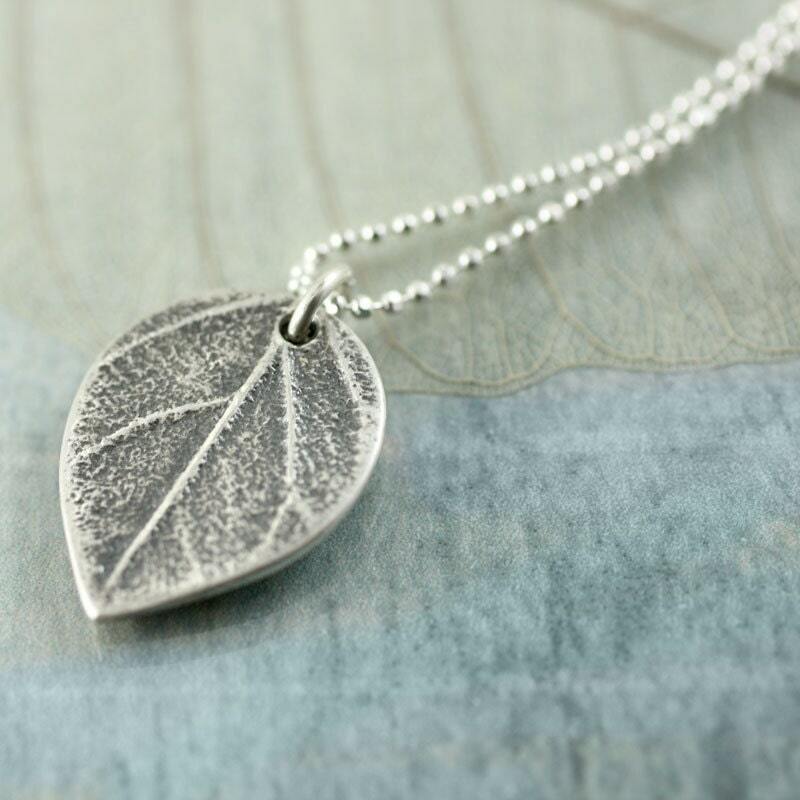 The leaf is impressed front and back - but the silver charm is thicker than the original leaf. 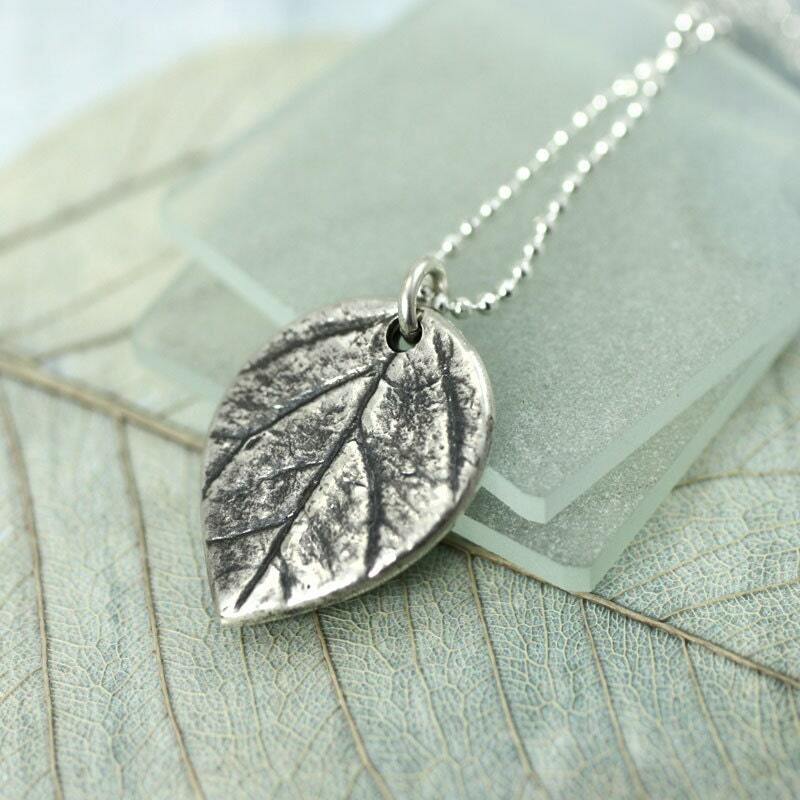 It has a lovely weight to it. About 1 mm thick. 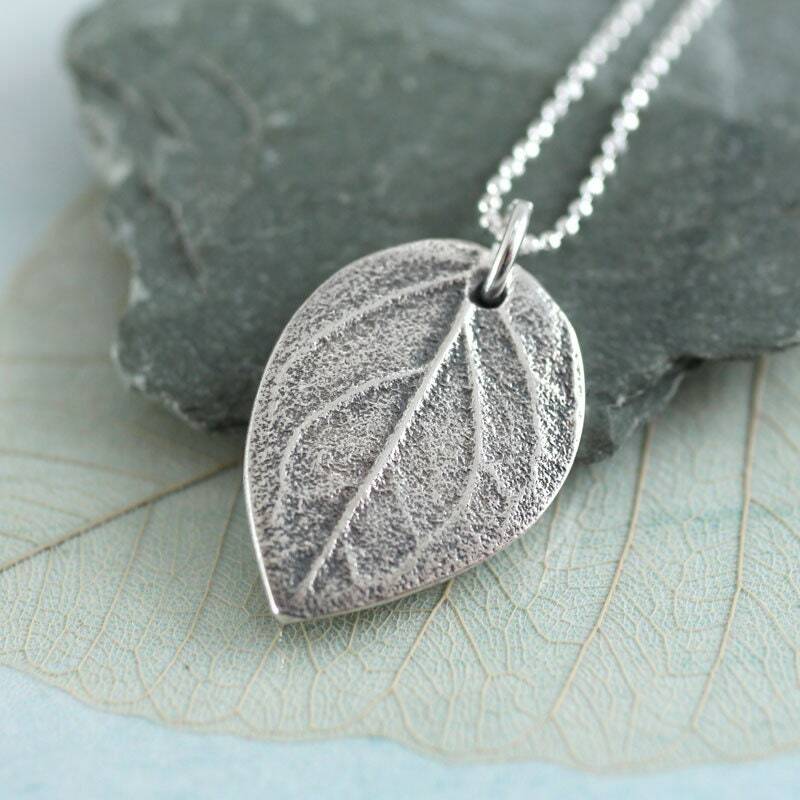 Very delicate and understated jewellery in bright silver, perfect for showing off suntanned skin in the summer sun. 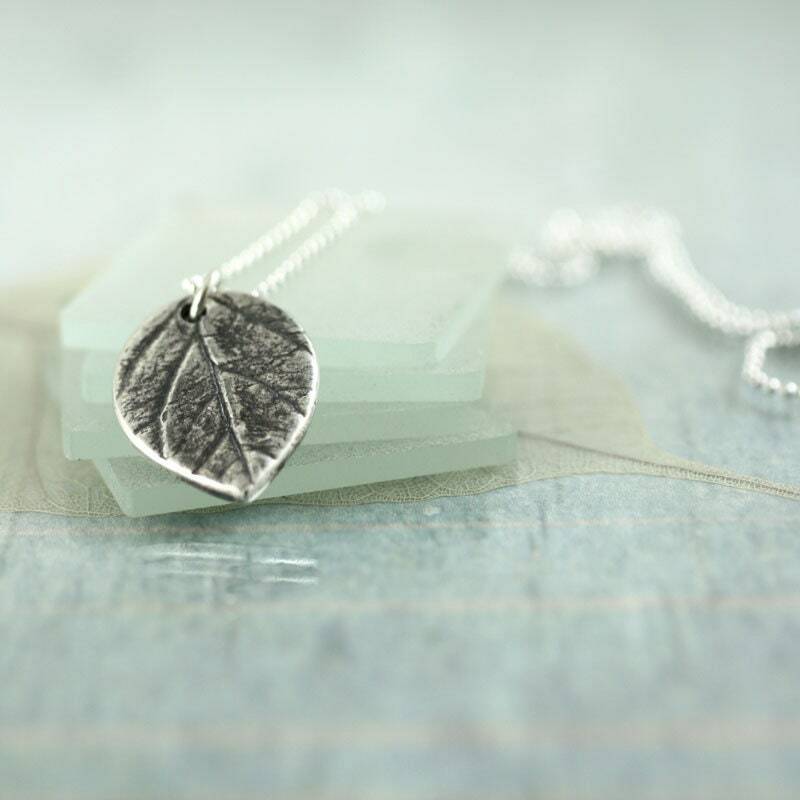 The leaf is a powerful symbol - meaning both hope and renewal. In Tolkien's Lord of the Rings it was also a token of friendship and fellowship. 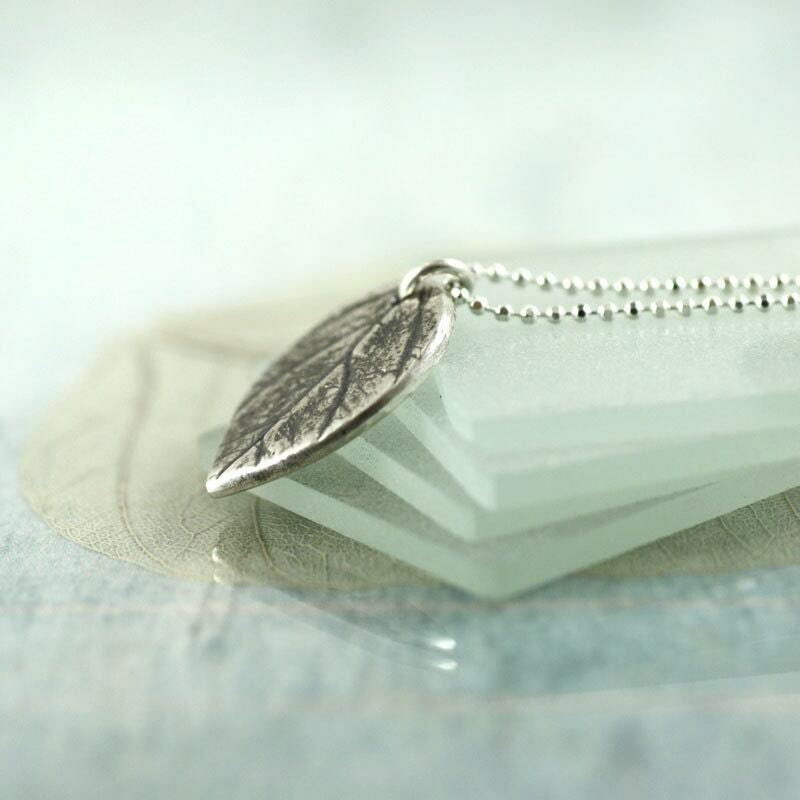 These necklaces would make a wonderful set of bridesmaid gifts. 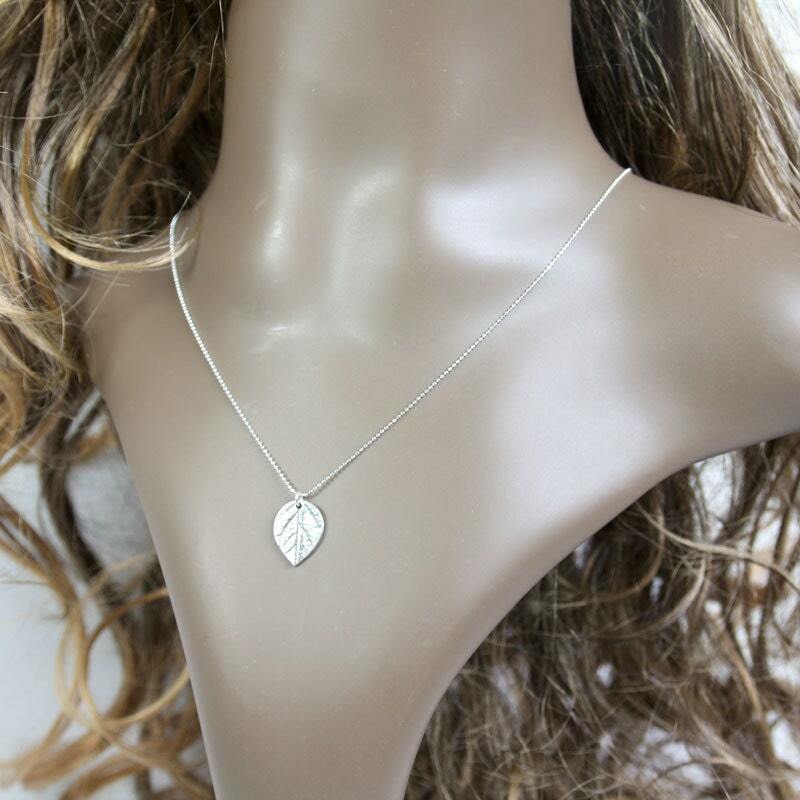 It comes with a delicate sterling silver diamond cut bead chain - 16" or 40 cms to sit just in the dip of your collarbones. It can be extended to 18" if you prefer.